Yum!! 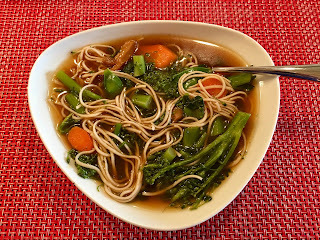 This Soba and Veggie Miso Bowl out of Pure & Beautiful Vegan Cooking by Kathleen Henry is scrumptious. 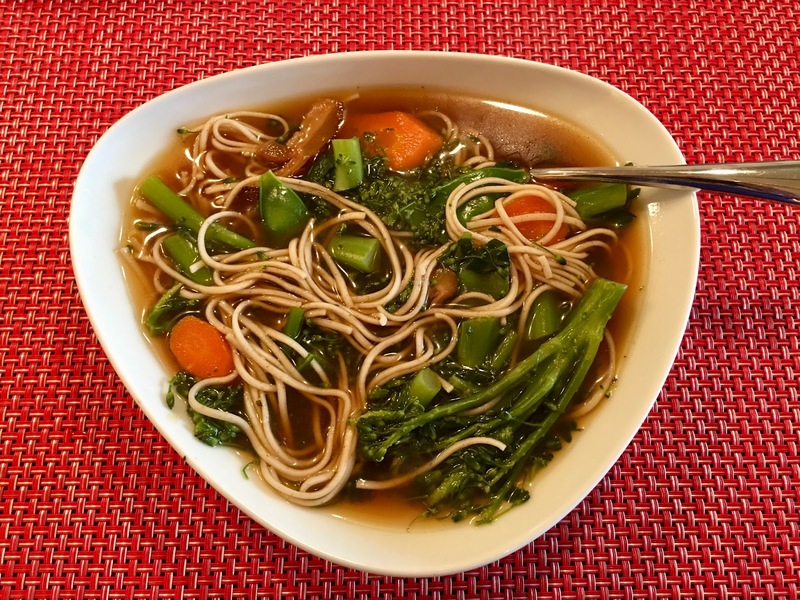 Warm broth envelopes soba noodles, broccolini, carrots, peas, and shiitake mushrooms while the red miso adds the flavor to this dish. It is a meal unto itself. Bring a small pot of water to boil for the noodles. Once boiling, add the noodles and cook for 4 minutes. Drain and rinse with cold water. Set aside. 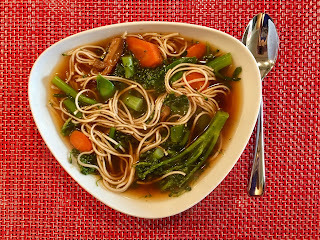 While the water boils for the noodles, add the vegetable broth and water to a medium saucepan. Turn the heat to high and bring to a gentle boil. Add the carrots and chopped dried mushrooms. Halve the broccolini so that the floret ends are bite size. The stems can either be left intact or sliced on the diagonal for easier consumption. Add the broccolini florets and stems to the saucepan with the broth and water. Allow them to cook for about 10 to 15 minutes, or until tender. When there are about 2 minutes left, add the peas. 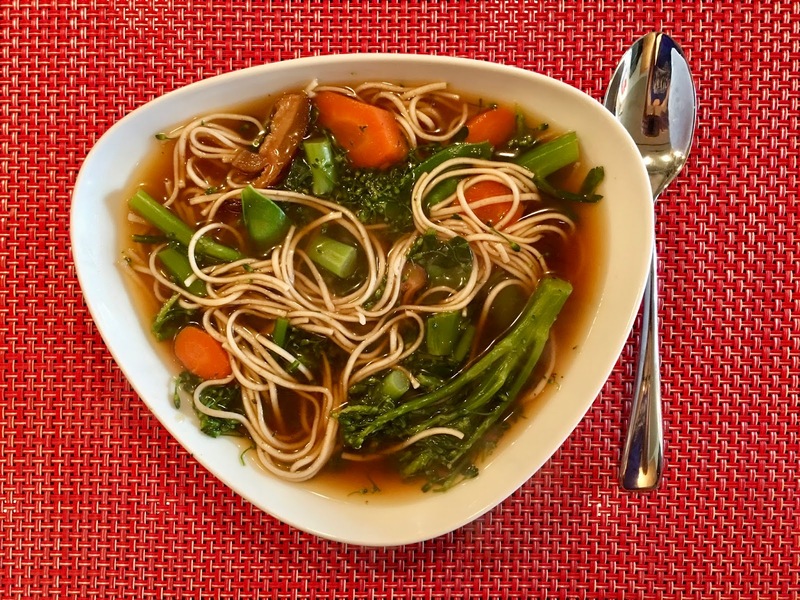 Once the carrots, mushrooms, and broccolini are all tender, remove the soup from the heat. Dip out about 1/2 cup of the soup broth and whisk in the miso paste until smooth. Stir the miso broth back into the soup along with the soy sauce. To serve, divide the cooked noodles evenly among three large bowls. Then, evenly distribute the broth and veggies on top of the noodles. Serve hot!